While it sounds like some solid Marvel parody, Old Man Logan has proven such a successful alternate reality that Marvel and Fox have adapted the storyline into the third Wolverine movie. 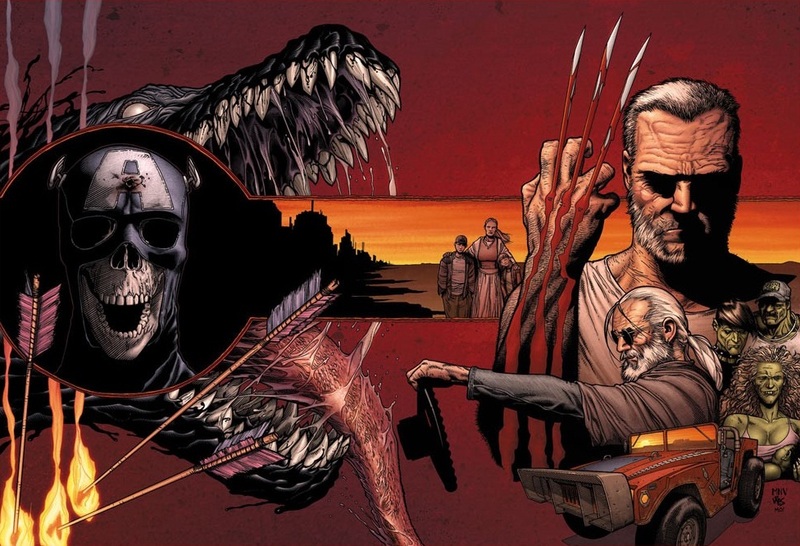 There is some understandable confusion around reading Old Man Logan for the first, and I explain the various orders and connections throughout Marvel Comics in the guide below. For the completely uninitiated, the “Old Man Logan” universe was originally an alternate reality created by Mark Millar and Steve McNiven throughout the pages of the ongoing Wolverine Comic (in 2009). For a number of years these issues did not connect to the Marvel Universe at large, it was simply a possible future Wolverine and the Marvel Universe. Following 2015’s Secret Wars, the Old Man Logan Universe was revived, and ultimately the Old Man himself was transferred to the Marvel Universe proper. Again, you can find all these comics to enjoy for yourself below! Comic Book Herald is reader-supported. When you buy through links on our site, we may earn a qualifying affiliate commission. Comic Book Herald’s reading orders and guides are also made possible by reader support on Patreon, and generous reader donations. Any size contribution will help keep CBH alive and full of new comics guides and content. Support CBH on Patreon for exclusive rewards, or Donate here! Thank you for reading! In my book, Mark Millar’s best Marvel work on Wolverine comes in the form of flash-forward elseworld Old Man Logan where Wolverine is, well, an old man, and the Marvel heroes have (for the most part) fallen. It’s a fan-favorite alternate reality dystopia, and features some truly excellent moments. A must-read for Wolverine fans, and especially for those who want to catch up with the All-New All-Different state of Wolverine, as Old Man Logan was one of the better Secret Wars tie-ins as well. In addition to winning my award for best Marvel event of the 2010’s, Secret Wars also returned Old Man Logan to the Marvel Universe in the pages of a 5 issue tie-in. 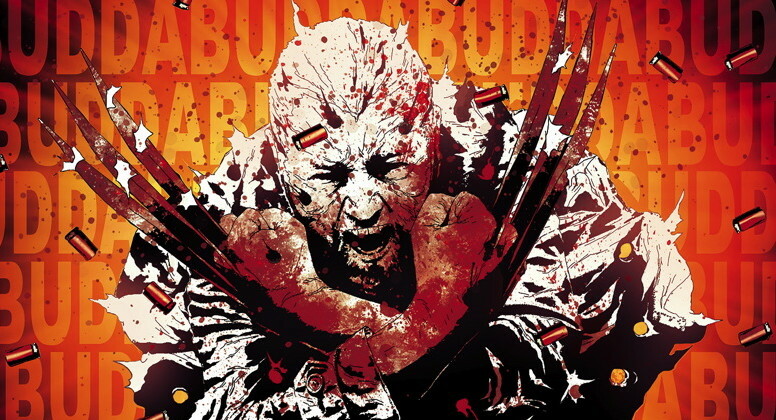 Andrea Sorrentino’s art truly sets Old Man Logan apart from the competition, but it’s also one of Brian Michael Bendis’s most restrained comics in years, and easily his best Secret Wars book. Following the conclusion of Secret Wars, the saga of Old Man Logan continues from Jeff Lemire and Andrea Sorrentino. Lemire and Sorrentino got off to a very strong start on the series, to the point that Old Man Logan was one of my favorite Marvel Comics of 2016. Jeff Lemire’s other X-book also includes Old Man Logan as part of the ongoing narrative, and should be read after Old Man Logan #4, even though Extraordinary X-Men was published prior to the first arc of Lemire and Sorrentino’s Old Man Logan. Old Man Logan joins Gabby and Laura and surely this won’t end well, will it? Also, they fight Captain America! Dave is the founder and Editor-in-Chief of Comic Book Herald, and also the Boss of assigning himself fancy titles. He's a long-time comic book fan, and can be seen most evenings in Batman pajama pants. Contact Dave @comicbookherald on Twitter or via email at dave@comicbookherald.com. Is there a reading order issue by issue for Old Man Logan? I have been trying to figure out then I got lost with Weapon X Extraordinary X-Men etc.